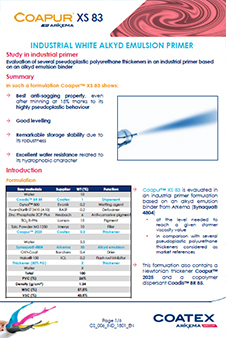 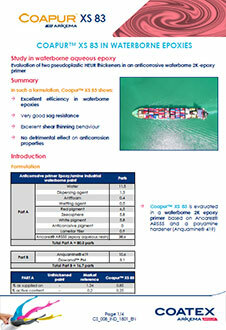 Coapur™ XS 83 by Coatex is a solvent-free polyurethane thickener. 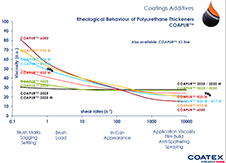 Coapur™ XS 83 provides a unique pseudoplastic rheology profile with a strong shear-thinning behavior. 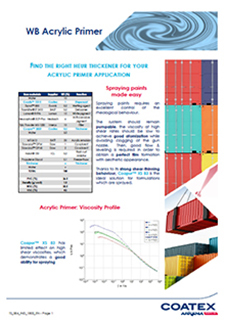 Its use ensures a smooth structure and an optimized ease of application by spray, roller or brush. 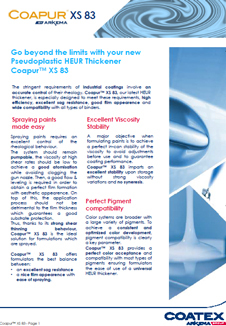 Coapur™ XS 83 thickener is recommended for water-based systems and is suitable for industrial and decorative applications requiring high film thicknesses and excellent sag resistance. 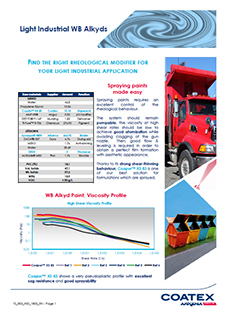 This polyurethane thickener contributes to improved color strength and reduce rub-out issues when using pigment pastes, even in presence of problematic binders. 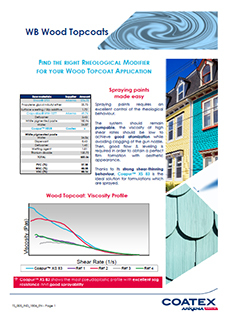 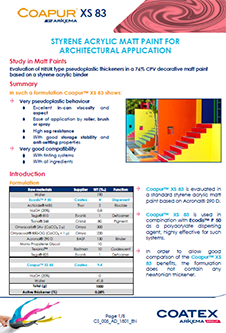 The use of Coapur™ XS 83 also limits viscosity drop after pigment paste addition, pigment flooding and floating during storage. 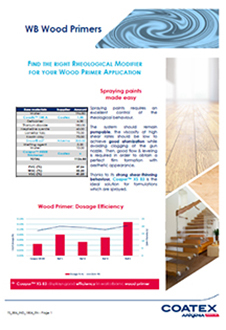 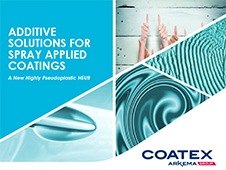 Recommended dosage levels are 0.1-0.8 % when used alone in decorative paints, 0.1-1.0 % in industrial coatings, 0.05%-0.8 % when used in combination with a medium and/ or high shear effective thickener in all kinds of formulations.